The three-minute clip, titled ‘Seven sins of India’, was released on Xinhua’s show ‘The Spark’ on Wednesday. Both China and Indian ally Bhutan have been disputing the narrow Doklam plateau at the tri-junction of the three countries’ borders for decades. India says the area is Bhutanese. 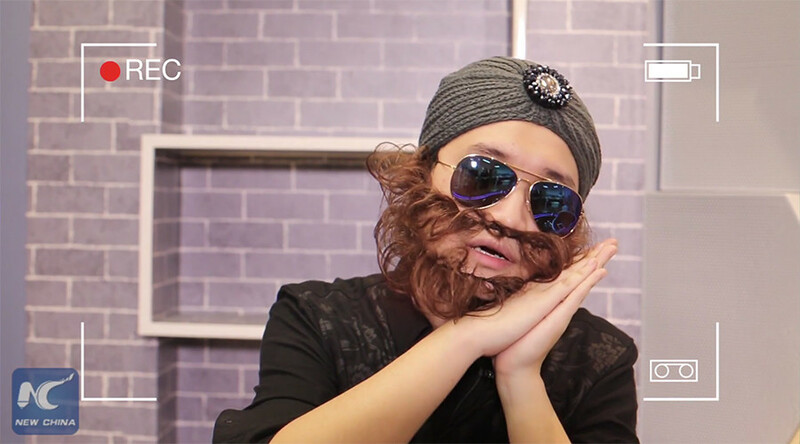 “When the whole world is trying to wake India up from its impulse, China’s realized it’s impossible to awaken a guy who is pretending to be asleep,” the program anchor, Dier Wang, said ironically. The video then shows a person said to depict a ‘typical’ representative of the Indian Sikh minority, wearing a turban, sunglasses and a fake beard. “Nobody’s blaming me because I am asleep,” the man says with an Indian accent. His words are followed by canned laughter. “Didn’t your mama tell you never break the law? (sic)?” Wang asked. The Indian man then awkwardly threatens a Bhutanese man with a pair of scissors, shouting that he is protecting the small nation. Tensions between Beijing and New Delhi escalated in June when Chinese teams began building a road on the plateau. 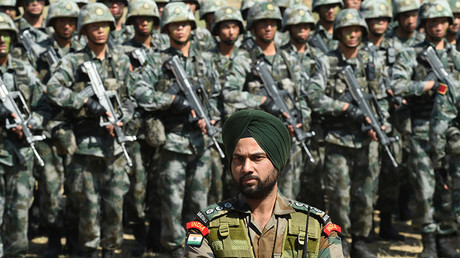 Bhutan requested help from India, which sent troops across the border, Beijing claimed. China responded with military drills in Tibet, not far from the disputed area. The internet community also wasn’t short of words, with some saying the video is merely an example of Chinese propaganda. “How stupid is imitating an Indian accent without opening their eyes like Indians do?” another person wondered. “Sheer stupidity and a lie,” “Why make fun of Sikhs?” and ”Cheap thoughts,” said angry comments under the video. — Jojje Olsson (@jojjeols) 17 августа 2017 г. — Ananth Krishnan (@ananthkrishnan) 16 августа 2017 г. “Seems like China has gone crazy...I’m loving it...keep barking...dogs are made for a reason,” one person wrote. “Didn't know that the Chinese had a sense of humor,” another person added. — Ajai Shukla (@ajaishukla) 17 августа 2017 г. There were also people who called upon all parties involved in the dispute to resolve the issue peacefully. “Media is bringing hatred in people of both the nation. Respect Indians and Chinese. Let’s try bring in peace. I know there are still some people who want peace between both the nations. Let’s make the world a better place to live,” one person wrote.